Friday, October 12th , is the last day to apply for voter registration in order to be eligible to vote in the November 6th Federal,State & County General Election, Texas County Election Board Secretary Sierra Martinez said today. Martinez said that persons who are United States citizens, residents of Oklahoma, and at least 18 years old may apply to become registered voters. Those who aren’t registered or need to change their registration may apply by filling out and mailing an Oklahoma Voter Registration Application form in time for it to be postmarked no later than midnight Friday, October 12th. Martinez said applications postmarked after that time will be accepted and processed, but not until after November 6th . The County Election Board responds in writing to every person who submits an application for voter registration. The response is either a voter identification card listing the new voter’s precinct number and polling place location or a letter that explains the reason or reasons the application for voter registration was not approved. Martinez said any person who has submitted a voter registration application and who has not received a response within 30 days should contact the County Election Board office. 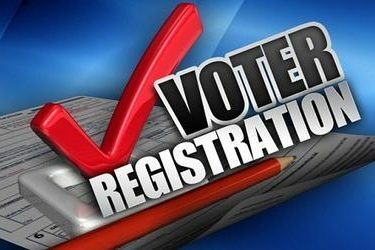 Oklahoma Voter Registration Application forms are available at the County Election Board office located at 301 N Main Street, and at most post offices, tag agencies and public libraries in the county. Applications also are available at www.elections.ok.gov.